The Strategic Vision Committee considers the following vision statements as ways FUMCR can continue to embrace its mission to welcome, grow and serve. FUMCR is a vital member of our community, and we believe there are even more opportunities to shine our light so lives are touched by God working through FUMCR locally, nationally and globally. To engage a representative group of First United Methodist Church Richardson in exploring, interpreting, and anticipating Christ’s future purpose for our church locally, regionally, globally, and within the United Methodist Church so that our leaders can implement a long-term roadmap to fulfill Christ’s Great Commission. 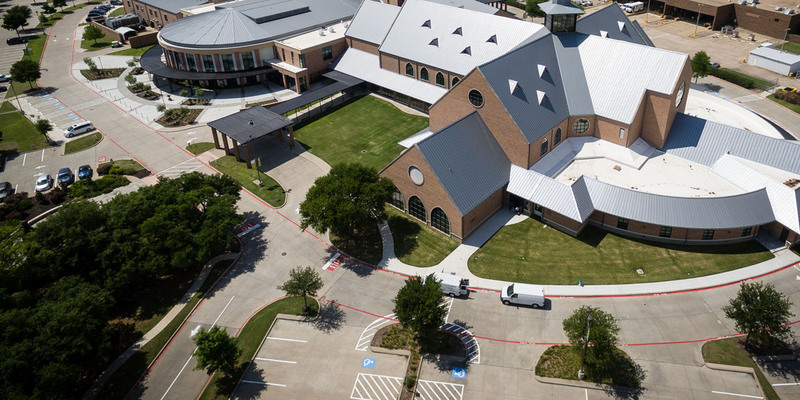 A Committee that continuously encourages Church Leadership and Staff to reasonably reach out beyond their comfort zone and rise to the next level in advancing the mission of First United Methodist Church Richardson. We will develop and implement strategies to serve our community’s needs and to welcome and grow a membership reflective of our community’s demographics. We will deepen and expand ministries with this focus including our support and relationship with area schools. We will intentionally communicate the FUMCR philosophy and expectations for financial support through inspired stewardship education. We will enhance current ministries and develop new ministries with this focus. We will develop a systematic approach to reviewing priorities and then allocate resources based on those priorities. We will continue to support and expand leadership development throughout our ministries. We will develop and implement strategies to improve engagement and connections across all age groups and life stages. We will establish opportunities that offer support to ensure development, job satisfaction, and rejuvenation. We will seek opportunities to utilize the best technology and analytics allowing us to stay on the forefront of our ministries. We will explore and expand the reach of FUMCR through all media channels, enhancing our brand and sharing our story.